Dirty vehicles attract Sasquatch and Yeti … or so they say. Don’t take a chance, keep your vehicles clean and protected with CrapnGunk NoSquatch Vehicle Wash! 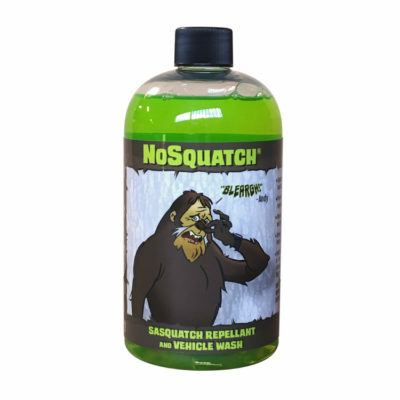 Specially formulated to repel both Sasquatch and Yeti alike, proven 99.9% effective when used with regularity. 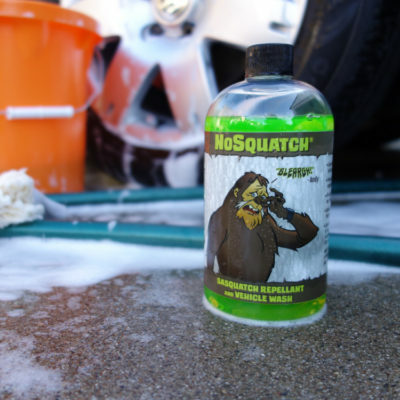 Use this vehicle wash and stay Sasquatch free! Concentrated: use more or less based on local infestations. 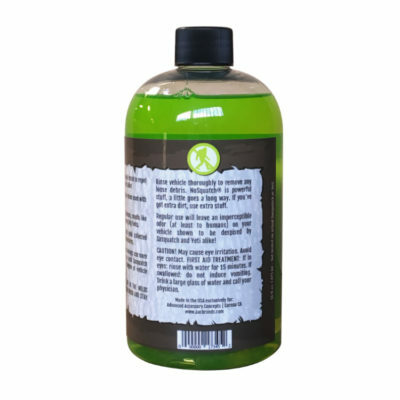 Regular use will leave an imperceptible odor (at least to humans) on your vehicle; Shown to be despised by Sasquatch and Yeti alike! Also available, our CRAPNGUNK Original Degreaser!